What does the writing on the tag say? I cannot zoom in enough to read it. Often times it will have the name of the company that produced the part. Do you know for sure what it fits? I.e. did someone take it off of a Model T or off of some other make of car? From the flat belt and the gear on the shaft, I suspect it is a starter-generator. If it is, a starter-generator then with the switch in one position it will engage the starter and turn the engine over. Once started and the starter switch released it will become a generator. Several cars had those and from memory (not as good as it once was) at least one or two accessory makers produced a starter-generator for the pre-starter 1918 and earlier Model Ts. I would also recommend you include a ruler or tell us the dimensions of the unit. A couple of the ones I am thinking of were very large -- i.e. 12 x 6 x 14 inches or so and really heavy. From you photo I would guess the flat pulley is only about 1/2 the width of the Model T fan pulley. But is that about right or how does it compare size wise to the T pulley? The above talks about a starter generator being used on a 1919 Briscoe 4-24. I also see the name "Apelco" used with Splitdorf. Don't know that helps you any. I totally don't understand the steering column on the other thread. That arrangement on the top end is very unusual. 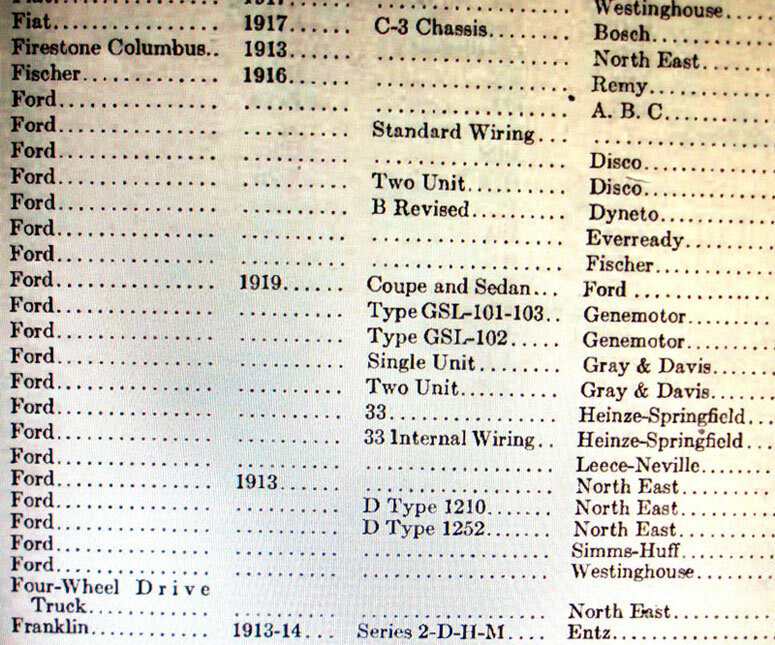 The 1919 Automotive Wiring Manual shows Splitdorf-Apelco for Briscoe, Elcar, Pullman, Mitchel-Lewis and some cars I never heard of, but not for Ford. Maybe this will lead to a clue. 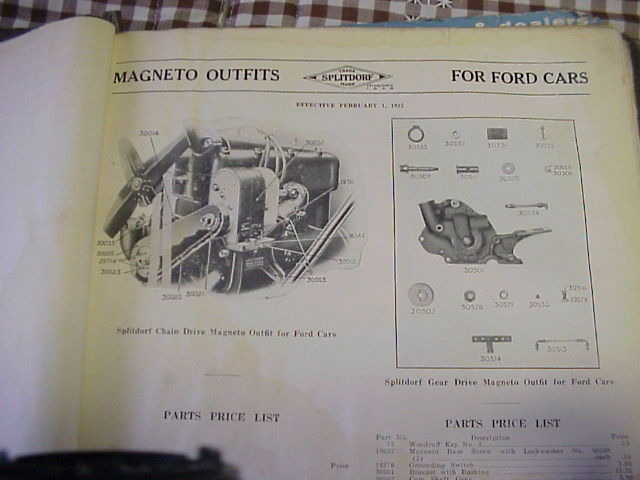 Wonder if perhaps they used the same bracket to mount the Apelco generator as this Splitdorf magneto on the left? I think they both have the same S.A.E. mounting dimensions.